Do not use latest revision,I am not able to get normal sound in cutscenes on any revision after official 3.0,so this is latest revision wish should be used for this game. 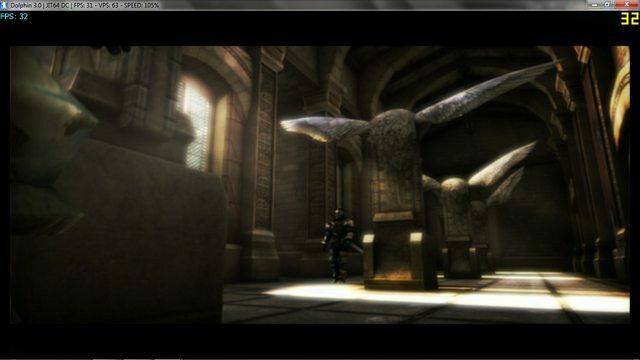 I tested it more,and for both LLE and HLE fps needs to be 30 in order to get proper sound in cutscenes. Enabling vbeam and disabling idle skipping should help with fps in cutscenes. How much fps do you get in cutscenes with LLE,vbeam on and idle skipping off ? Bottom line: both disabling idle skipping and enabling vbeam helps with fps and sound in cutscenes. You cant enable vbeam with HLE sound though. OK I tried these settings with the official 3.0 build. I get 27-28 FPS in cutscenes with vbeam ON, idle skipping OFF and LLE on thread. The audio is choppy at all times even when I am not in cut scenes. Strangely, if I move the texture cache from FAST to SAFE I lose about 10 FPS but the audio gets smoother. Then check "Accurate VBeam emulation"
Using Idle skipping OFF, vBeam ON and LLE On thread. I get 22-29 FPS during the cutscene, but the audio is choppy no matter what I do. 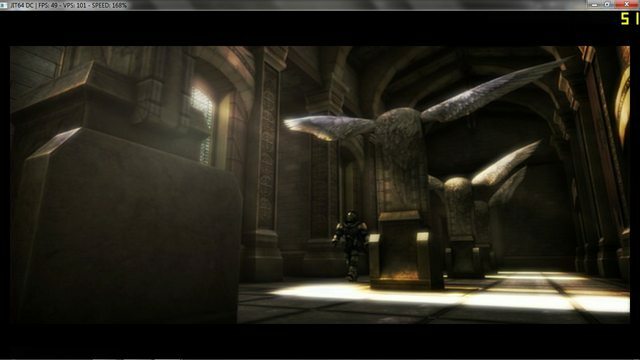 Using HLE WITH vBeam I can get 30 FPS in the cutscene no problem, but the audio sounds horrible. The second I turn vBeam OFF the FPS DROPS to 20 FPS! Choppy audio this way as well. It seems no matter what I do I have choppy audio. Did you try HLE +idle skipping OFF ? BTW i7-740QM is not enough to play this game properly,thats why you are having problems. I can barely get the sound working properly in cutscenes with 3.2 ghz sandy bridge desktop cpu. BUT,really old build such as one by lectrode you tried should help. Did you try ALL these settings combinations on that build ? You havent properly tested old build.